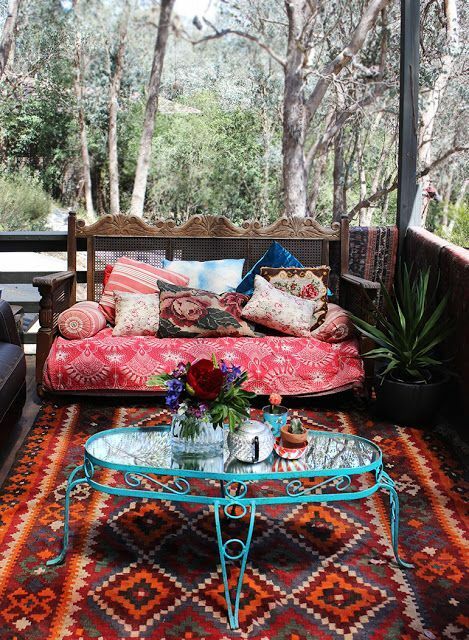 Boho chic and gypsy styles are free-spirited and very relaxed while being vivacious and bright. 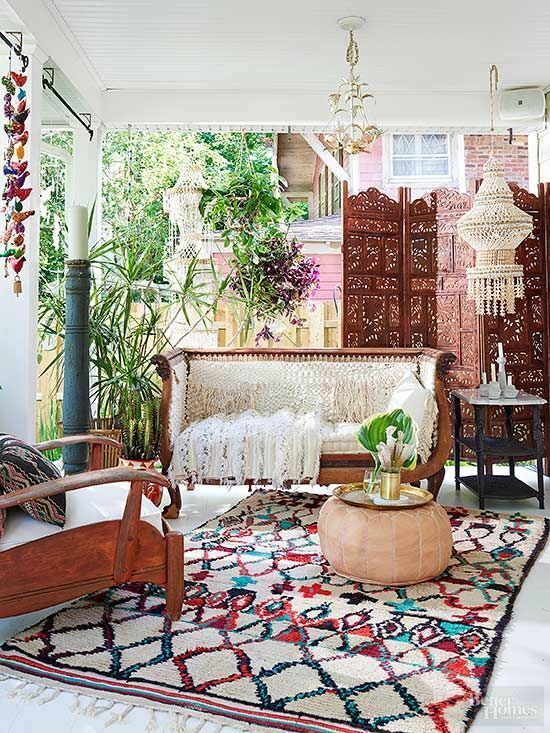 Boho home decor can be easily recreated as it doesn’t require much matching, and you can get some reclaimed and vintage pieces and DIY much decor. 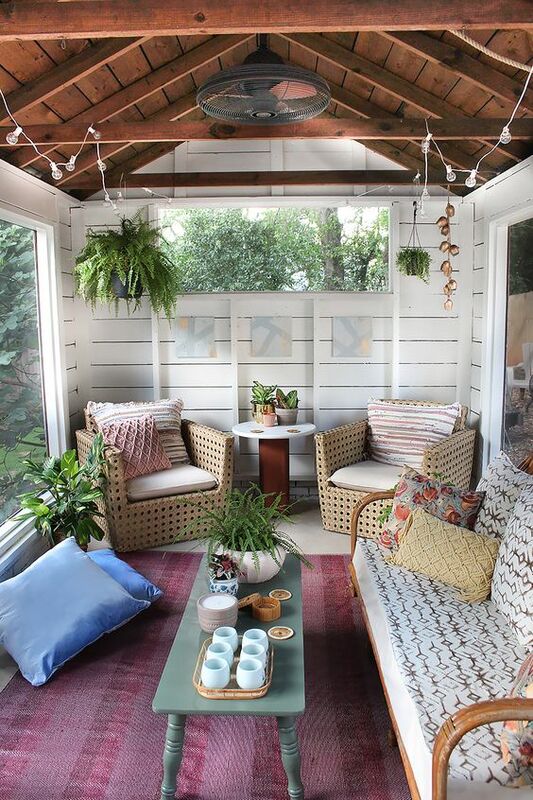 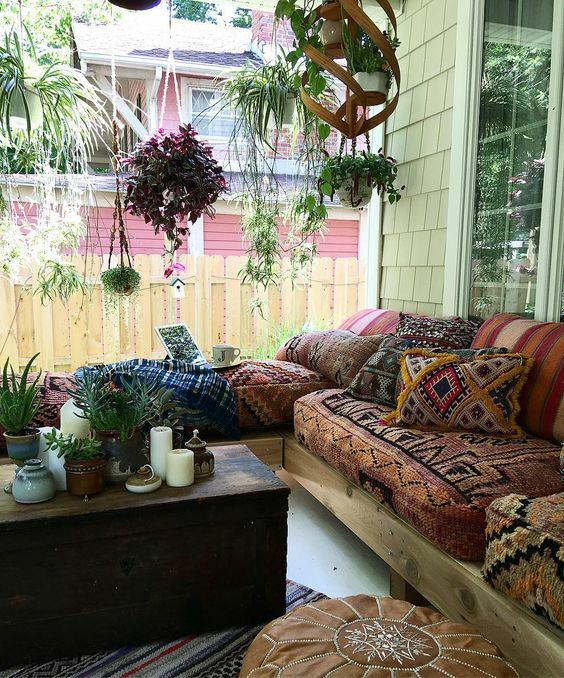 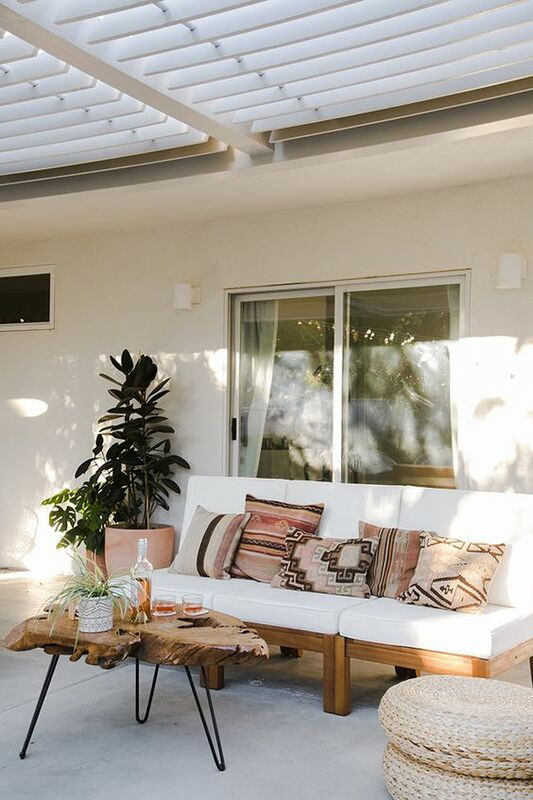 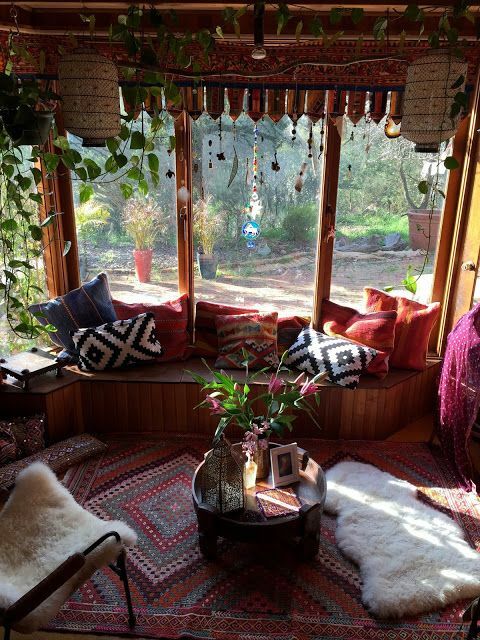 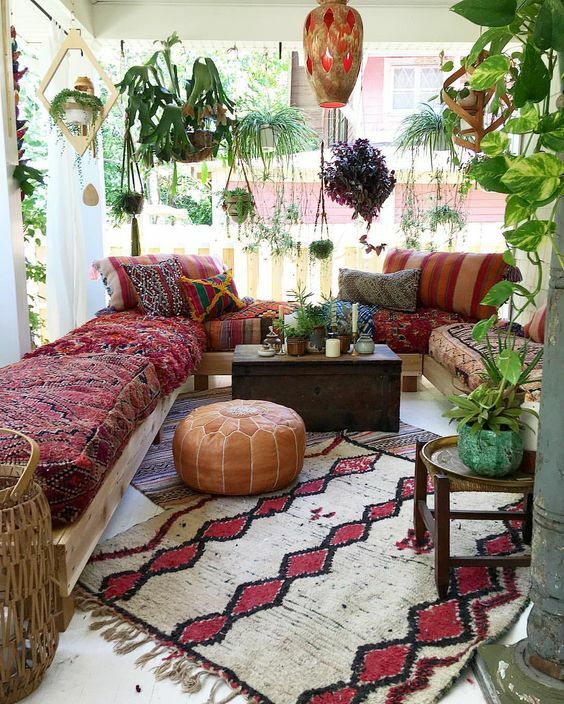 If you feel like getting some boho decor for your home and don’t know where to start, let’s try to make a boho porch. 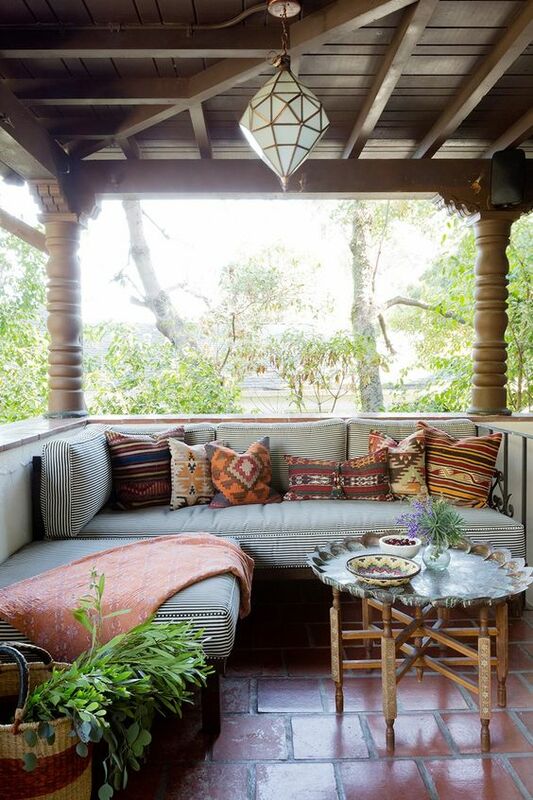 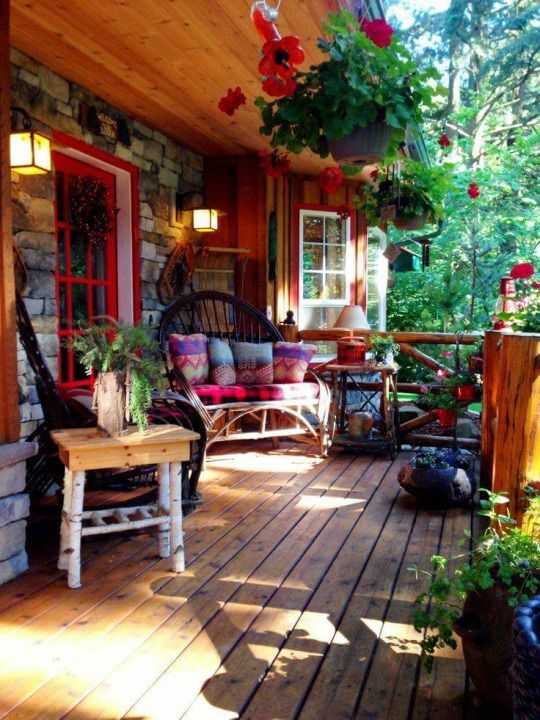 A porch is the first space that your visitors see, so why not encourage your guests feel free-spirited and comfy at once? 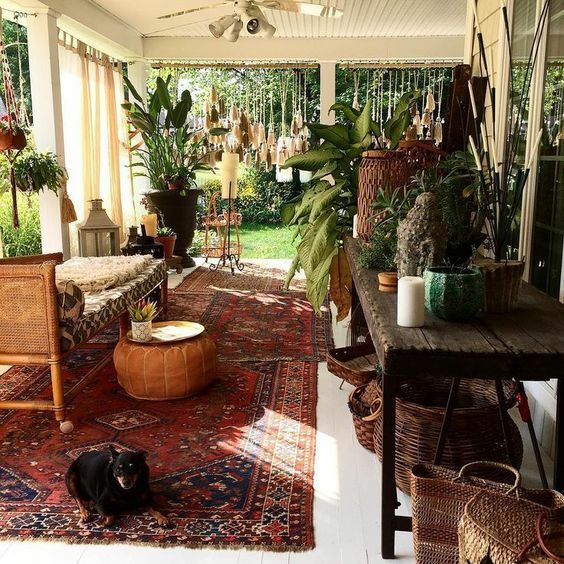 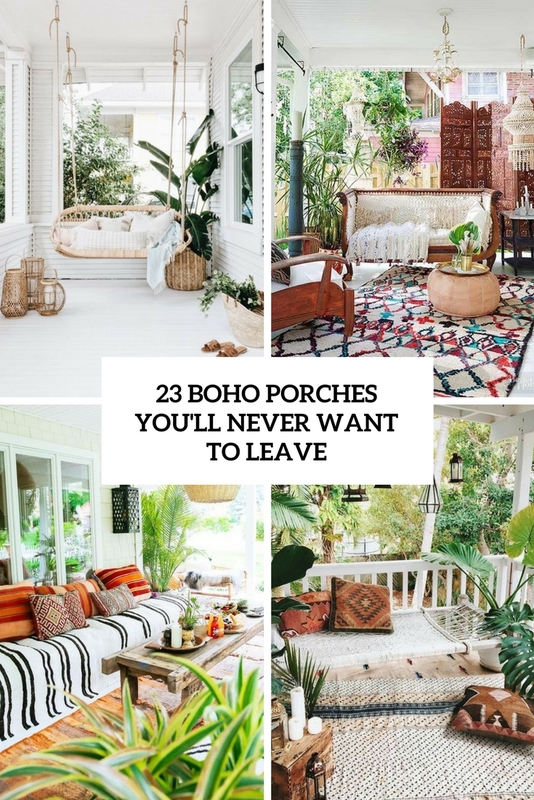 Here are some tips to make your porch boho chic and wow the guests. 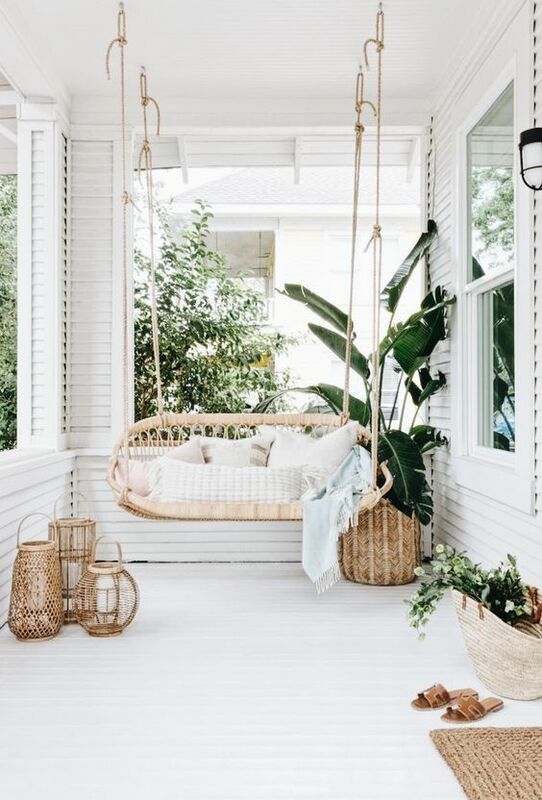 Choose furniture pieces according to the size of your space: if it’s small, pick just a couple of items – a swinging bench, a chair or ottoman, if it’s large, feel free to make a sitting and maybe also dining and sleeping zone. 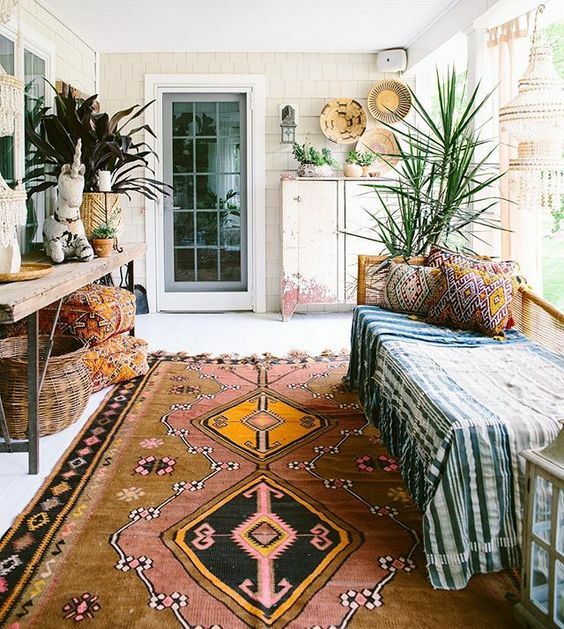 What furniture to choose for a boho entryway? 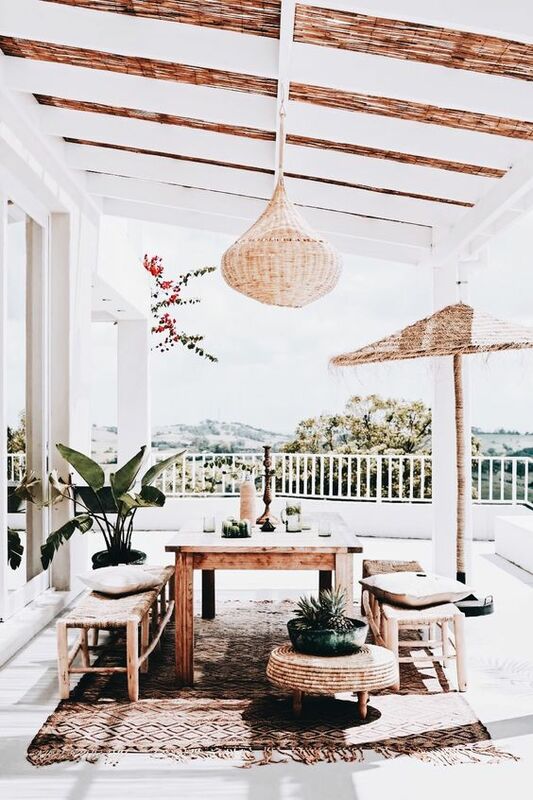 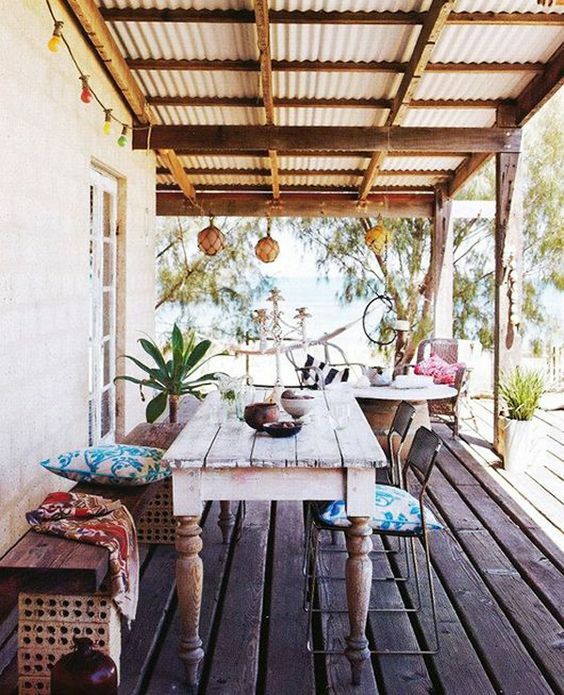 Go for a boho or vintage table, some rattan benches and chairs, a leather ottoman and a wicker table. 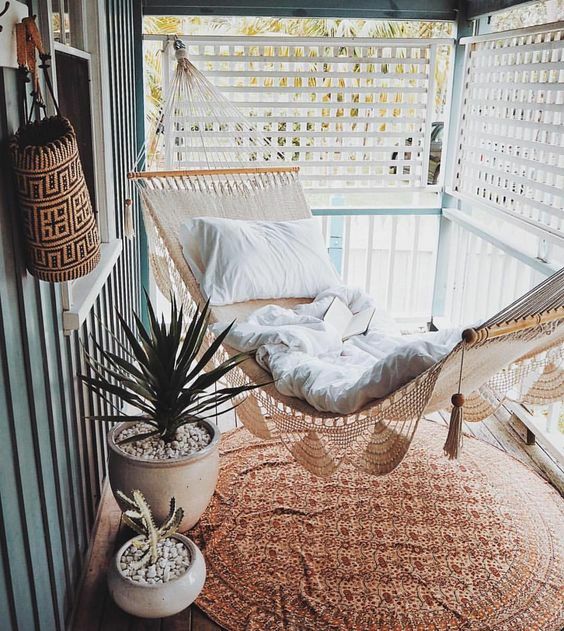 A vintage chest can be used as a side table, and a macramé hammock can be a nice piece even for a small porch, and it looks very boho-like. 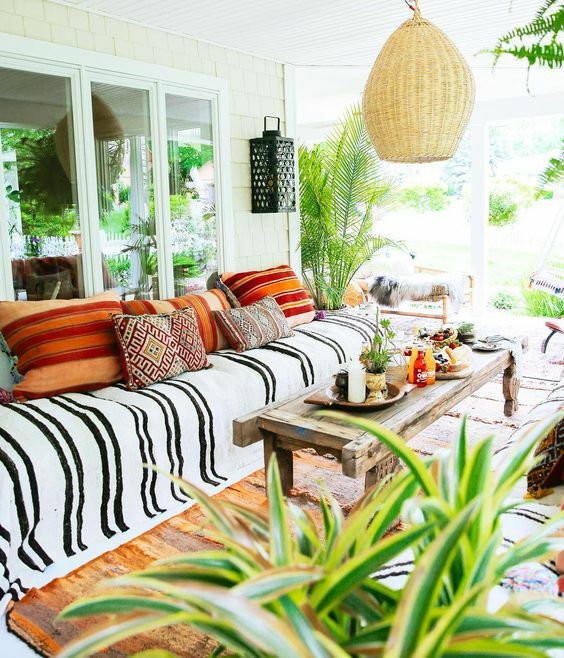 If you feel like bright colors, go for colorful and bright upholstery or neutral upholstery if you feel like light colors. 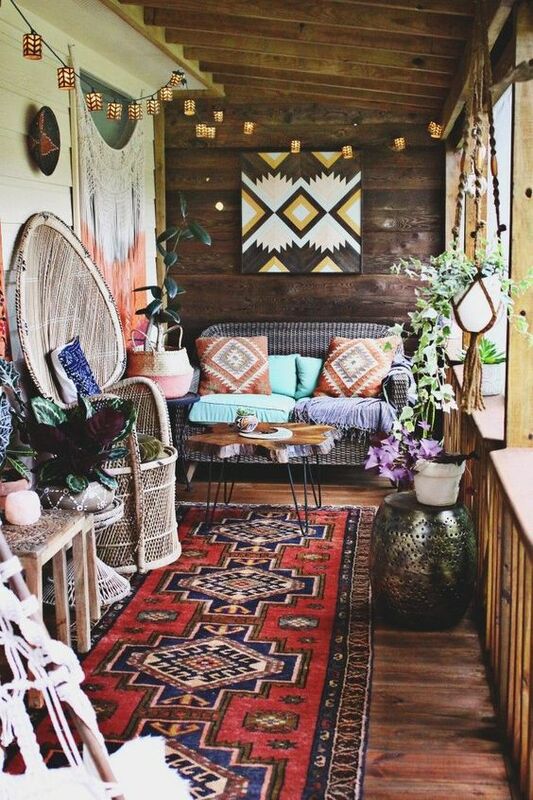 Decor makes the boho space! 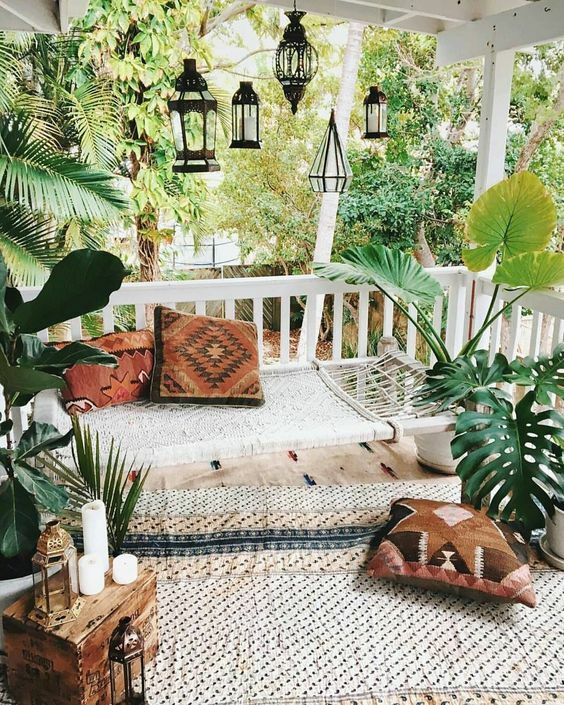 First of all, go for candle lanterns, better Moroccan ones, to light up the porch, or prefer wicker lampshades for pendant lamps. 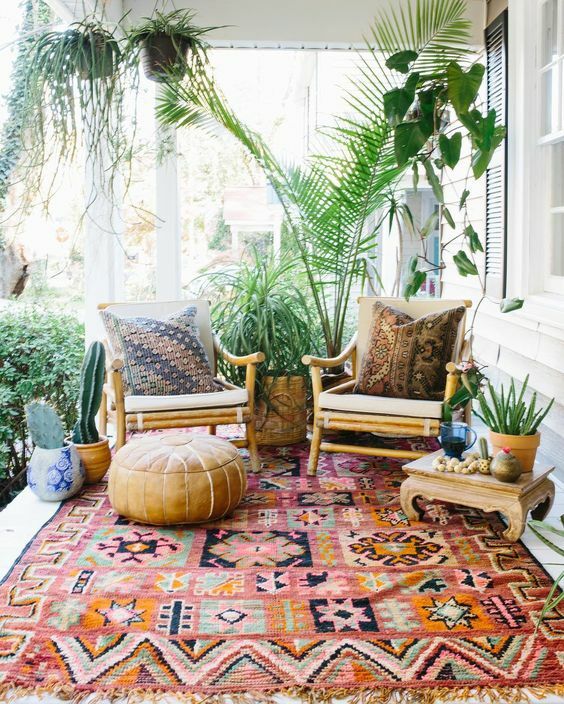 Second, look for colorful printed textiles: rugs, bedspreads, pillows, they will bring a strong boho feel and can be easily DIYed if you feel like crafting and sewing. 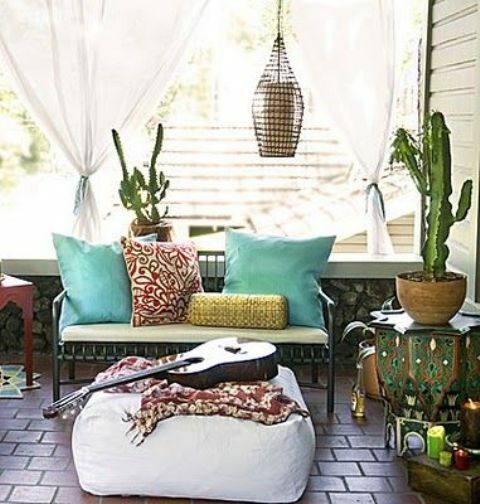 Third, add baskets and wicker and rattan touches for a free-spirited feel. 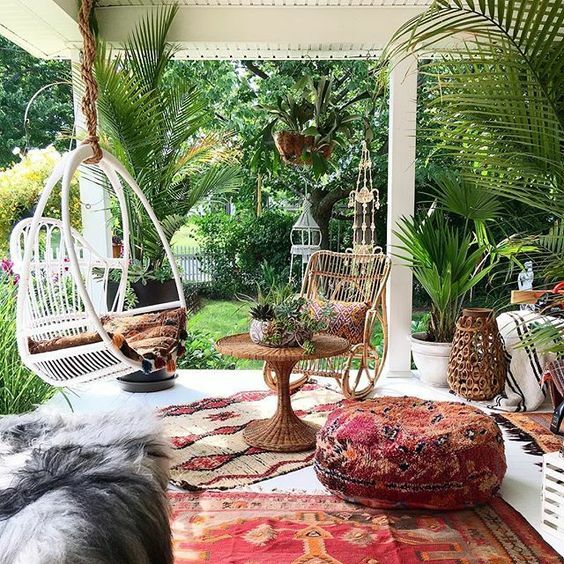 One of the main things for a boho space is rocking potted greenery and plants – it may be placed everywhere, and if there’s not enough space – hang the planters, you may create a whole hanging garden! 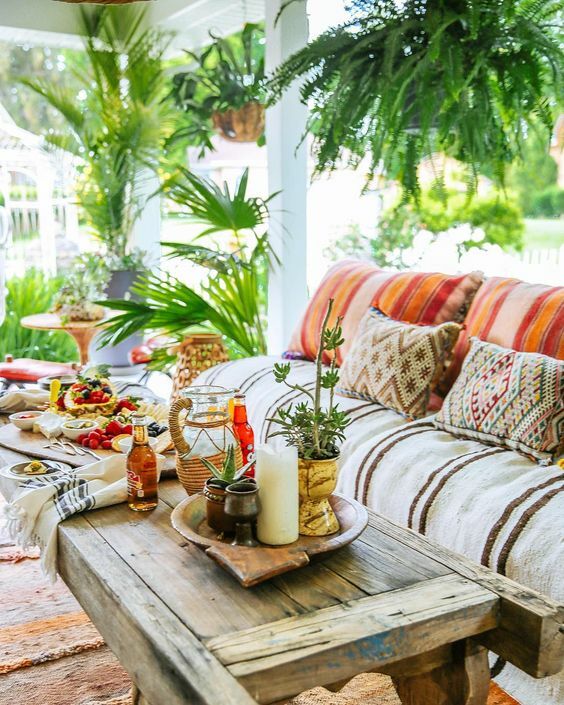 Want a more boho feel? 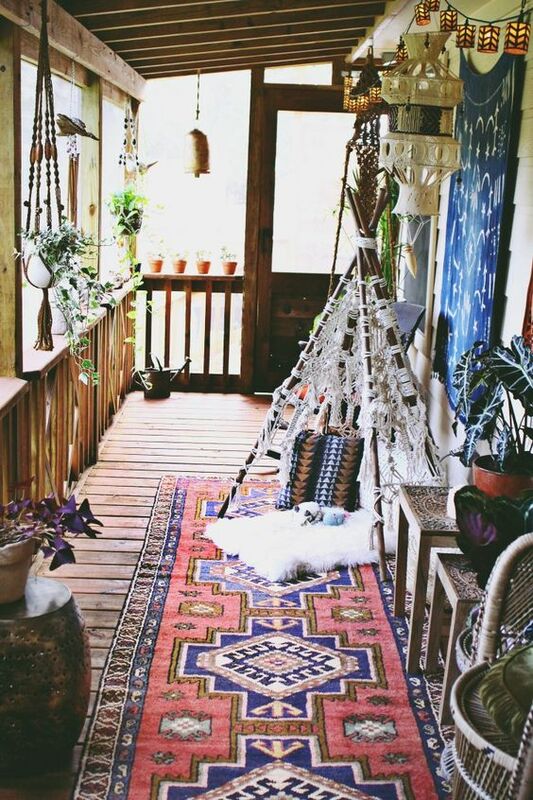 Make a real teepee right on the porch!